Apparently I haven’t blogged in over a year. A YEAR. Let’s just say … a lot happened in that year. It was a hard year in many ways, and a beautiful year in others. 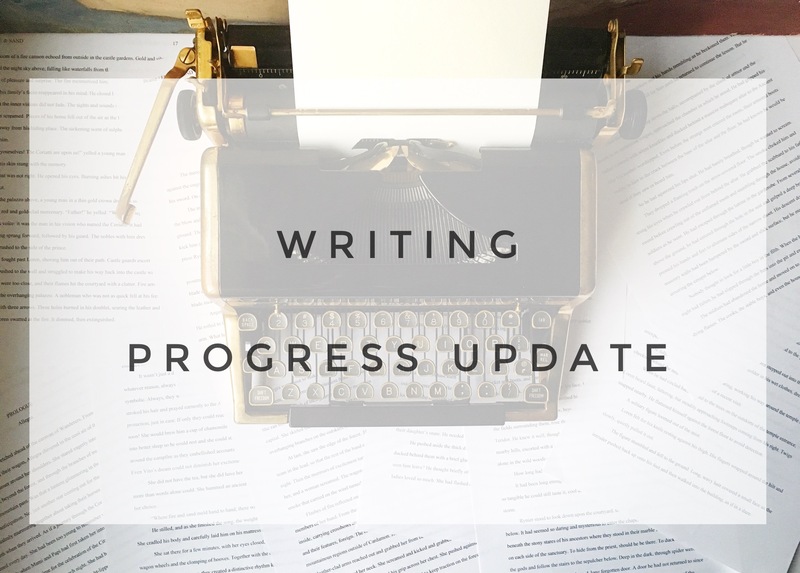 Most notably, I finished the first draft of my work-in-progress! That’s right, #firstdraftofdoom has graduated to #editsofdespair (you gotta read that in your best Princess Bride Albino voice). With the help of my new critique group (another beautiful thing that happened since the last post) it’s becoming something readable. I’m really looking forward to the third draft, though, when I get to prettify it. All this big-picture plot entangling is wearing me out. Speaking of that critique group, I met them all at the SCBWI Midsouth conference held in Nashville each September and I’m looking forward to reconnecting in person this weekend at this year’s conference. If you are a writer who wants to connect with other writers, I can’t emphasize enough the value in attending a regional conference! So that brings me up to date. Maybe by my next post (you know, next year), I’ll be submitting to agents at last! I can dream, right? Not many words written today. More questions than answers. Lots of what-ifs and uh-oh-now-I-have-to-fix-thats. But I’m moving forward. It’s a first draft, ya know? These things happen. I’ve hit a point where I am questioning my writing and my plot choices and feeling a little burned out. It will pass. It always does. But, first, I’m going to finish my 10,000 word goal for Camp NaNoWriMo and then take the weekend off. I just need a little breather to refocus and recharge my creativity. Honestly, at this point, I consider this par for the course. If I didn’t feel like this, I’d be more worried, because it would mean I wasn’t pouring everything I had into my writing. Mini celebration over here! While First Draft of Doom is still not complete, I wrote nearly a thousand words today and when I completed the scene I was in, I realized I had successfully bridged the rising conflict to the climax of the plot and now I just need to fill in pieces of scenes that I missed along the way. While I’ve written specific scenes out of order for this draft, I have, in general, been writing toward the ending for the past few months. And then will it be done? Oh, goodness, no. This first draft? Consider it my very VERY detailed outline. As Shannon Hale says, I’m just shoveling sand into my sandbox right now. Next comes building the sandcastle (aka editing). For the past four years, I’ve just been telling myself the story. Next it will be time to rewrite it so that I am telling readers the story. But. For the first time, I feel like I’m closing in on the finish line. The end of this draft is in sight, and THAT is a glorious thing. This is fascinating! I read around 600 words per minute, with Paw Patrol playing in the background. Might retake when, um, my toddler is sleeping. 😉 Check it out! How fast do YOU read? And how long at that pace would it take for you to complete War and Peace? Getting closer! I’m actually getting a point with writing this First Draft of Doom where I’m struggling to list scenes that still need to be written. Of course, this could be an unpleasant side effect of writing scenes out of order, but I’ll take it as an encouraging sign! No Debbie Downer here today. I’m SO CLOSE. And yet so far. That’s the problem with being an aspiring author. You don’t have much to show for all of your efforts until it’s all over. I’ve been writing for years and those closest to me keep asking how it’s going and I feel a little embarrassed to say I’m not done yet. I’m not ashamed, just embarrassed. All of the work I’ve done up to this point has been to learn my craft. Each book is an accomplishment, even if it never sees the light of day. I mean, I’ve written at least four or five complete books at this point of my life, and at least that many partial books in addition to that, but only one of them was edited to the point where I’d be close to sending it out (before I changed my mind and set it aside to start my current project). I have one or two more waiting in the wings to be edited. And then I have this project, which I am about to start shaping into something worth submitting. For the first time since beginning The First Draft of Doom, I actually think it is within the realm of possibility for it to be completed within the next few weeks if I apply myself to the task. It’s not wishful thinking at this point: I’ve written over 80,000 words. I have maybe 8-10,000 more to complete the draft, tops. I can do that in a month. If I skip enough Arrow binge-watching sessions on Netflix. Then the next stage begins: revising. Which is scary. But necessary! No longer will I be able to justify crappy writing with the excuse that I’m just getting words out on the page and will come back and fix it later. Revising IS the later. Will April’s Camp NaNoWriMo be the month I finally finish the #firstdraftofdoom? We shall see! I’m so close, y’all. SO CLOSE. I need to bridge the gap for my characters to get to the final climatic scene, tie up loose ends afterward, and go back to add some additional transitional scenes in the beginning that will lead toward the current version of my ending. To clarify: by going back to the beginning, I don’t mean I’m editing yet. However, I did write scenes out of order for this book, so now that it is four or five years after the initial plotting and writing began (having a colicky baby who grows into a ridiculously active toddler will do that to ya), there are gaps early on in the story caused by the of evolution of what it has now become, so I need to address those before I will feel like the draft is complete. You know what, though? Even after it feels like this book has dragged on and on and on until it will be the death of me, I know I have already improved on the timeline it took to complete my last book. So, I’m learning. I’m growing. That’s good. I should always be learning and growing. The last few months have been a whirlwind. Writing and other activities took a back burner to life. There have been some exciting highs and some difficult lows for myself and those I love. BUT, I’m writing again now and up to over 70,000 out of an anticipated 65,000 words, with more to write before the story is complete. I have to overwrite; it’s just my process. I trim down my first drafts, like a sculptor chiseling away at a statue–bit by bit, chunk by chunk, edge by edge, until I get to the heart of the story. And then I go into potter mode and basically smoosh the whole thing back down on the wheel and then gently pull it back up from a lump until it forms into the vessel I envisioned. So. Anyway. About that heads-up in the title. Yeah … my website might disappear and reappear without warning sometime soon. I am going to attempt to upgrade it to the responsive theme I purchased back in November of last year. Life has finally started settling down into a (more) predictable rhythm, so I’m going to give it a shot. Hi guys! Just checking in very briefly (after watching Star Wars: The Force Awakens tonight. *fangirl flail*) to say I’ll be disconnecting from my online and social media life a bit to focus on my family during the next couple of weeks, but before I do, I wanted to check in for a little update. Okay, first, I’m excited that the past few weeks have been good for my writing. I tend to over-write and trim later in edits, but I’ve written some new scenes that are tying the story together at last. I have to admit, writing out of sequence was fun early on when I could skip around and write the juicy stuff, but now I have to really up my plot game and fill in all the blanks I left behind and that’s … tricky. I’ve still enjoyed writing this way. I just made it hard on myself. So, anyway! Bottom line: I’m happy. And hopeful I’ll finally get this first draft completed in the near future. Insert some celebratory emojis here. Maybe a happy dance. And chocolate. Chocolate is always appropriate. Follow Andrea Brame | Writer’s board Write | Sci-Fi Inspiration on Pinterest. Next up, I wanted to say I had SUCH a good time experimenting with taking pictures of my son’s picture books to post on Instagram that I dove right in and have discovered the amazing bookstagram community. I’m making new bookish friends all over the world, and I am thrilled. If you are one of those friends and have clicked through my profile link to see this post, welcome! I’m so glad we’ve met over our shared love of reading and maybe a cup of virtual coffee. If you know me from elsewhere and haven’t followed me on Instagram yet, hop on over and do that here. 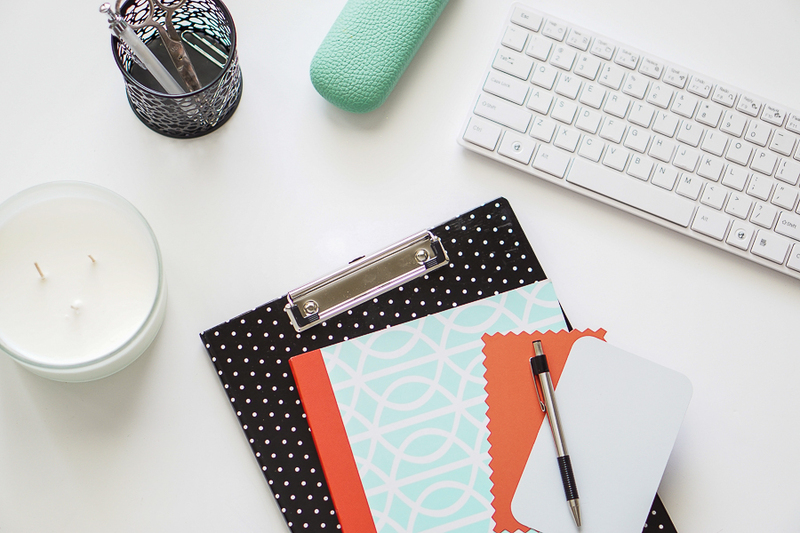 Finally … my announcement … drum roll please … My website is getting a facelift! If you follow me on Twitter, you know I recently tweeted that I had chosen and purchased a new responsive blog theme. My blog theme has needed an overhaul for a long time now, but I waited until I could take advantage of the incredible Black Friday/Cyber Monday sales of the theme community. I chose a theme designed by BluChic and I’m excited to begin the updating process sometime early next year. Stay tuned! Until then, Merry Christmas, and a Happy New Year. 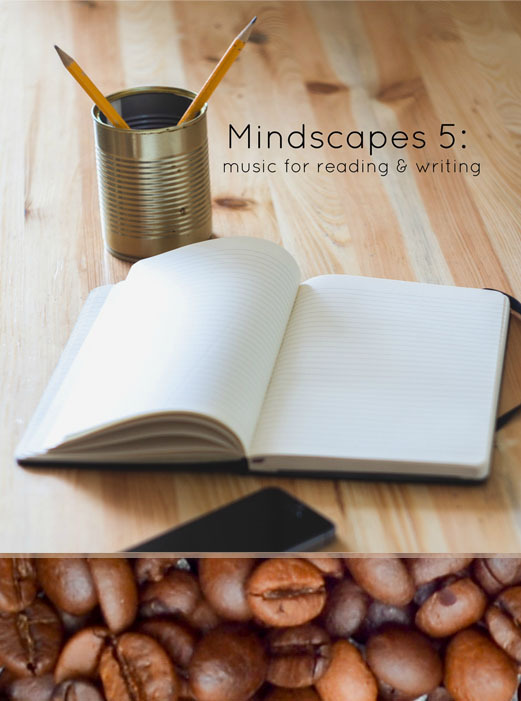 Calm instrumental playlist for reading and writing. Since Thanksgiving is tomorrow here in the United States, and with NaNoWriMo coming to a close, I thought I’d celebrate a little by compiling a new playlist for reading and writing. This one is calm, contemplative, and unobtrusive, so you can focus on getting lost in a good book or a world of your creation. I hope you enjoy! Mindscapes 5: Music for Reading and Writing from andreabrame on 8tracks Radio. Considering it has been some time since my last update, I thought I’d post a little something just to say I’m still alive and still writing. I’ve been doing a lot of soul-searching lately, trying to figure out where I belong in the world of kidlit. I haven’t come to any firm conclusions yet, but I know I’m not giving up. I’m sticking with it. I can’t help it! I should probably be sleeping right now. But here’s the thing. I’m stuck. I’m stuck on some science and some characterization and some plot holes. I’ve written all the things I know and now I’m stewing on the things I don’t know. I don’t blog here much. I don’t even open Scrivener as much as I should. But I’m thinking it through. Sometimes in the middle of the night, after I wake up and realize what I could next. And then I give myself insomnia because my brain won’t stop thinking and let me go back to sleep! At 3 a.m.! Whenever this happens, I’ve learned that what I need most is a blast of inspiration. I go to a store I love, solo, and just browse. I take in the art and the design and let myself get lost in it. I even take pictures of things that particularly make me happy. It might be washi tape. It might be towels. It might be a funny saying. But I enjoy it all. Then I stop and breathe in nature. I browse hashtags on Instagram (#instabooks, #bookstagram, and #igreads are faves). I meet up with a friend over coffee. I hug my husband and just savor the moment. 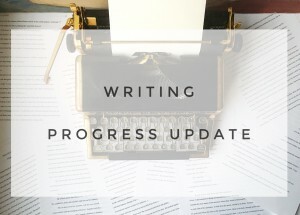 So, tonight, in the still evening hours when my son is deep asleep and the dark has drifted in and the rain is falling gently in a mist and chill electronic music is playing on my iTunes radio in my earbuds, I’m writing this update. Then I’m taking some time to write. And it will probably be crappy writing. That’s okay. That’s what first drafts are for. I’m going to hand-wave my way through this science-y mess that is keeping me back in fear, even if it means I make up ridiculous faux science just to make it through. I can go back and fix it later. This is my story. I’m the writer stuck in the wilderness of the middle of her book. So I can write my way out … I control my fate. And when I have, you’ll be the first to know. Well, second. I’m pretty sure my husband and son will hear my triumphant shout of victory when the last word is written.